Another day, another update for Facebook. This time, the clock is ticking for Pages administrators and events creators, as they will see updates and new functionalities coming to life to promote their events. In their official press release, Facebook claims that almost 400 million members are using events to reconnect with communities and friends and learn more about what’s happening locally, so it proceeded to making some substantial improvements targeted to events and their promotion. These improvements are built around 3 basic pillars; boosting events, insights and highlighting events. #Facebook announces improvements on boosting and hightlighting #events and releases insights. If you want to give your event a helping hand you can now do it easily by creating a promotion. That’s no news per se, but until now, administrators could only create right-hand side ads while now they will be able to have them displayed on desktop and mobile newsfeed. This new feature will be rolled out in the following weeks and will be available through both Ad Create Tool and Power Editor. 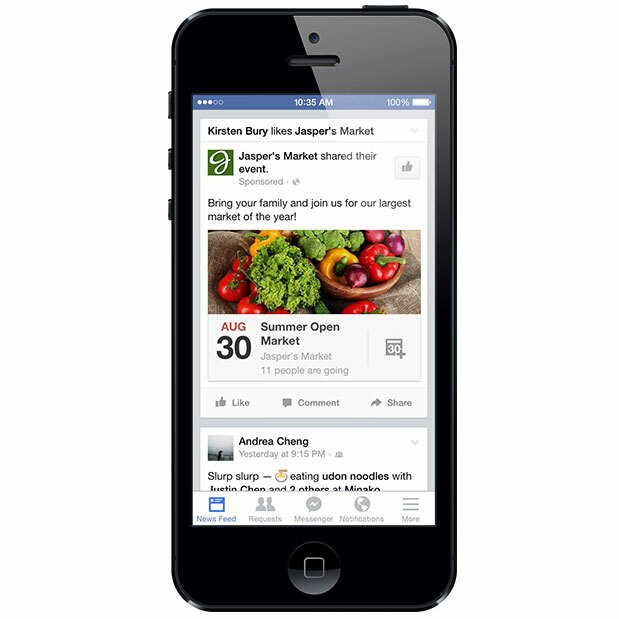 New #ad #format will display event promotions on mobile and desktop newsfeed. Check how your event is performing with the new analytics launched by #Facebook. Apart from the aforementioned changes, Facebook is now changing the overall look-and-feel of events pages. This new layout has been created in order to highlight each person’s upcoming events, showcase new events, -including suggested events based on information such as the Pages they like- their location and the day of the week. Moreover, Facebook suggests that pages administrators should use the tab reordering functionality so as to display their events tab in their page. This way mobile users will be able to stroll through the list of the events a Page is hosting for the week. Have you seen the new look-and-feel of #Facebook events pages? And, as always, Facebook announces that more changes are yet to come. Exciting news! What’s the next update that you would like to see on Facebook?